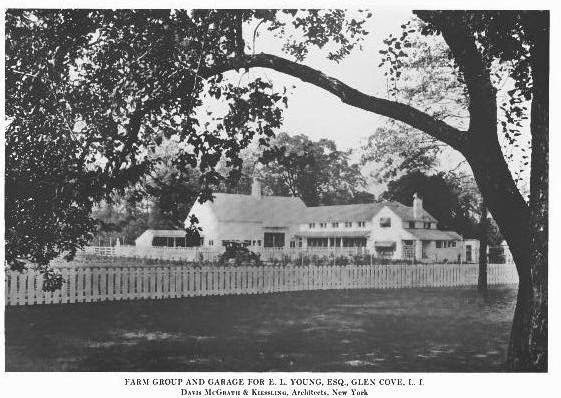 The farm group and garage to 'Meadow Farm', the Edward Lewis Young estate designed by Davis, McGrath & Kiessling c. 1918 in Glen Cove. Click HERE for more on 'Meadow Farm' and HERE to see the farm group on bing. Photo from the Yearbook of the Architectural League of New York, 1918.